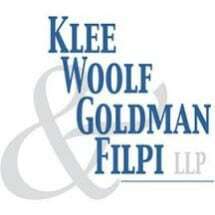 If you live anywhere on Long Island or throughout the greater New York City metro region and you suffered an illness or injury on the job, you can turn to the legal professionals at Klee, Woolf, Goldman & Filpi, LLP, for the help you need obtaining the benefits you deserve. Our law office in Mineola, New York, is one of six we have in the area, lending testament to the level of success we have achieved assisting thousands of injured and disabled workers, including volunteer firefighters and other emergency responders with applying for and appealing their workers' compensation and Social Security Disability claims. Since these two legal areas are all we handle, we provide the best chance you have of securing the finances you need to support yourself and your family now that you can no longer work. Regarded as among the top attorneys in the area for workers' comp and SSDI, the attorneys at our law firm possess extensive experience dealing with cases before the New York State Workers' Compensation Board and the Social Security Administration as well as before various local unions and industry boards. No matter how complex your situation, you can rely on us to work closely with you to provide the personalized attention your case needs so that we can better help you resolve your matter efficiently. To find out more, you can contact Klee, Woolf, Goldman & Filpi, LLP, by calling our Mineola law office or visiting our website to schedule a free initial consultation. We also offer evening and weekend appointments as an added measure of convenience.